Nintendo products have always tended to be family-friendly and with the Nintendo Switch, parents will have the ability to control how much their kids play in a day. 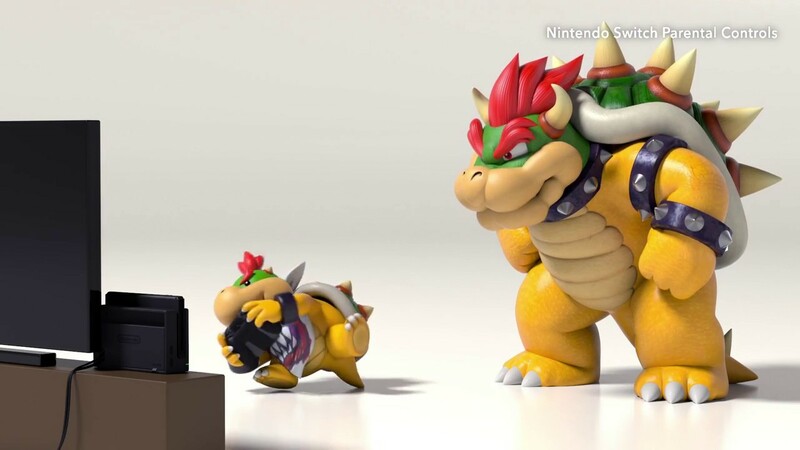 Yes, we are the monsters now as the new trailer helpfully indicates by portraying adults as Bowser. As an app on one’s smartphone, Nintendo Switch Parental Controls allows parents to set playtime for their kids. Those playing the console will be informed when their time is up and if they go over the time limit, it’s possible to remotely put the Switch to sleep. You can also restrict online communication, view most played games for different days and much more. Honestly, it’s stuff like this that really makes you glad to have grown up in the 90s/2000s. Can you imagine your console being remotely shut down during an important race? The Nintendo Switch is out on March 3rd worldwide. What are your thoughts on the Parental Controls app? Let us know in the comments.